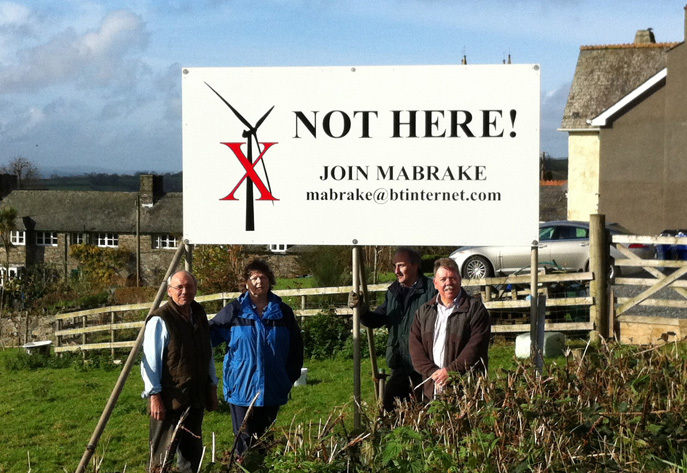 November 2011 Newsletter | MABRAKE – Milton Abbot, BRadstone And KElly Action group. No activity has been noted at the site other than the Electricity Board installing a new 11kV transformer close to Tredown Farm. It is not known if this is connected with the Wind Turbine installation. 2. Tredown pre-application presentation for two large wind turbines. As of writing this Newsletter no application has been submitted but of course we are gearing up to expect this to happen before Christmas. To update everyone and encourage new members to join we will be holding two events in December. 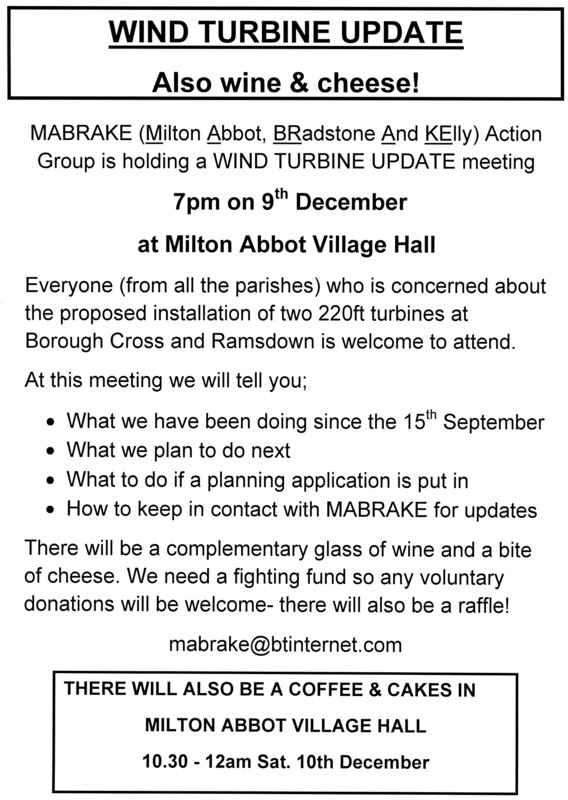 First will be a “Wind Turbine Update” at Milton Abbot Village Hall at 7pm on the 9th December and the second a Coffee and Cakes Morning also at Milton Abbot Village Hall at 10.30 on the 10th December. A separate flyer advertising these events will be distributed to as many houses as possible in the Mabrake area over the next couple of weeks. Please come and show your support and encourage your neighbours and friends to attend as well. On the 21st October 2011, the committee met with Geoffrey Cox M.P. 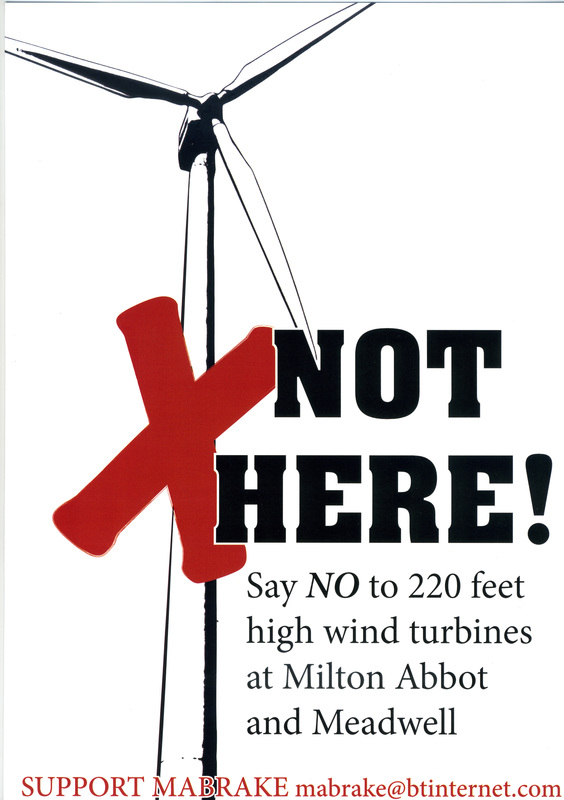 for Torridge and West Devon close to the proposed site of one of the Turbines at Borough Cross. Mr Cox expressed his concern at the closeness of nearby dwellings and the impact the Turbines would have on the surrounding countryside and promised to support us in every way possible. The Tavistock Times Photographer was present and a photo was subsequently printed in the Tavistock Times. If anyone should notice that the sign is defaced in anyway please call any member of the Committee as soon as possible. The A4 size is ideal for putting in a Window and the A3 outside in a garden so if you would like some please let any member of the committee know. Mabrake does not currently plan to object to this application because it does not appear to have a major environmental impact. If any of our members think otherwise then please let us know and the reasons why. Should any individuals wish to object then of course they are free to do so. Finally, we need to increase our membership numbers so please see if you can each add at least one new member to our group. Just let me have their names, addresse, telephone number and hopefully an email address! Look forward to seeing you all on the 9th December.